You are here: Contests / “Miss Me More” Lip Sync Challenge! “Miss Me More” Lip Sync Challenge! “Miss Me More” is Kelsea’s new single and certainly the bop that brings out the “Sasserini” in all of us! We want to see you jamming out to it in your car, dancing to it in your room, singing it with friends, whatever it may be! So we’re inviting you to take on the #MMMChallenge! Post a video of you and friends lip syncing to “Miss Me More” below for your chance to win a “Legends” jacket and zipper purse! 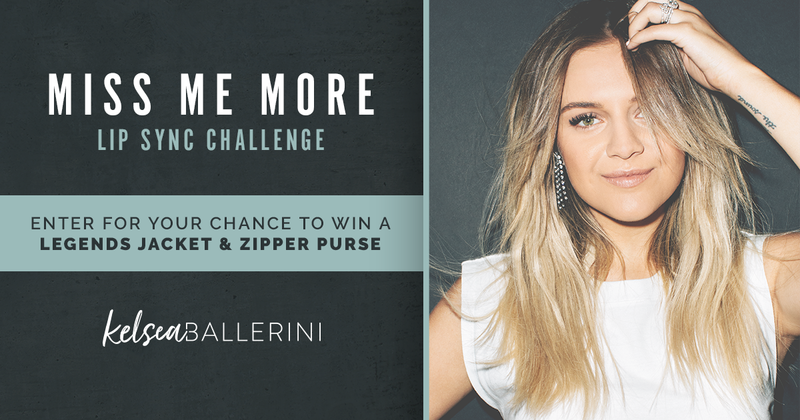 Bonus points if you share on social media tagging Kelsea and using the hashtags #MissMeMore and #MMMChallenge. Good luck, Legends! I will try to do this when I get home Kelsea!